It was the angel who appeared to Moses in the bush, and said, “take the sandals off your feet, for the place on which you are standing is holy ground” (Exodus 3:4). The angel then identified himself saying, “I Am Who I Am” (v. 14). The angel of the LORD swears by himself—an action that Wenham notes is the “First and only divine oath in the patriarchal stories, though it is frequently harked back to (24:7; 26:3; 50:24; Exod 13:5).” This action is similar to the covenant established with Abram, a covenant predicated upon only the character and faithfulness of Yahweh. The angel of Yahweh said to Jacob, “I am the God of Bethel, where you anointed a pillar and made a vow to me” (Gen 31:13). When Jacob made that vow he stated, “If God will be with me…then the LORD shall be my God, and this stone, which I have set up for a pillar shall be God’s house” (Gen 28:20-22). Hosea identifies the angel saying Jacob “met God at Bethel” (Hos 12:4), and went on to identify him as “the LORD, the God of hosts, the LORD is his memorial name” (v. 5). Jacob prayed to the angel of Yahweh when he blessed Ephraim and Manasseh. He stated, “The God before whom my fathers walked, the God who has been my shepherd all my life long to this day, the angel who has redeemed me from all evil, bless the boys…” (Gen 48:15). It is the angel of Yahweh who calls himself Yahweh (Gen 22:16), and who is credited with saving Israel out of Egypt (Judges 2:1). When God was angry at Balaam, the angel of Yahweh appeared. After correcting Balaam by means of his donkey, the angel told Balaam, “Go with the men, but speak only the word that I tell you.” Balaam interpreted this command by saying, “The word that God puts in my mouth, that I must speak” (Num 22:22-38). The angel of Yahweh identified himself as the “commander of the LORD’s army” and said to Joshua, “Take off your sandals from your feet, for the place where you are standing is holy” (Joshua 5:15). Just a few verses later, the commander of Yahweh’s army is identified as Yahweh by the writer (6:2). It was the angel of Yahweh, having a “wonderful” name, that heralded the coming of Samson’s birth, and who received an offering from Manoah ( Judges 13:15-25). Manoah concluded his interaction with the angel of Yahweh saying, “We shall surely die, for we have seen God” (v. 22). Whereas in Chronicles 21:15-16 the angel of Yahweh appeared to David, 2 Chron 3:1 states that it was Yahweh himself who appeared. Agent (Heb: Shaliah): The main point of the Jewish law of agency is expressed in the dictum,”a person's agent is regarded as the person himself”… Therefore any act committed by a duly appointed agent is regarded as having been committed by the principal, who therefore bears full responsibility for it with consequent complete absence of liability on the part of the agent. 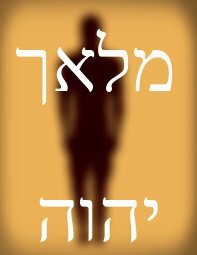 Using the term שָׁלִיחַ (shaliah) as a means of identifying the angel of Yahweh as a created agent is a tactic typical of unitarians who are desirous to defend the notion that the God of Israel is one person. Explaining the identity of the angel of Yahweh as a created agent poses an array of logical, theological, and exegetical problems. Proponents of this theory merely assume that the angel of Yahweh is created agent without providing any positive biblical evidence to support such an assertion. The angel of Yahweh is never called a shaliah. One would expect the use of the term in any one of the dozens of key passages that describe the angel of Yahweh as the primary salvific actor. So too, the above definition does not possess an accurate depiction of the biblical agent-sender relationship in several important ways. In every account within the Old Testament wherein an emissary acts on behalf of his sender, the agent is immediately identified as distinct from the one who sent the agent. For instance, even when God said to Moses, “See, I have made you like God to Pharaoh, and your brother Aaron shall be your prophet” (Exodus 7:1), there was never an acceptance by Moses of the kind of honor belonging to Yahweh. Moses did not start receiving worship and calling himself Yahweh. Rather, Moses spoke the words that Yahweh gave him while still communicating a tacit distinction between himself and Yahweh. No one who saw Moses believed that they had seen Yahweh and lived, as in Judges 13:22. Clearly therefore, even in the Old Testament’s quintessential agent-sender narrative, there is a sharp distinction made between the sender and the one sent. Unlike Moses, the angel of Yahweh never identifies himself as a representative. By the time of the New Testament, shaliah was the general equivalent of the Greek term ἀπόστολος. While the apostles represented Christ, they were never called “Jesus” or “Christ,” or worshiped as Christ. Even though Paul was an apostle and was given the power to conduct miracles, he refused to be worshipped as if he was Christ. If the agency theory is adopted to explain the identity of the angel of Yahweh, there would exist no tenable means to distinguish the function of God from his agent. That is, since the angel is identified so often as the salvific actor within the Old Testament, and if the angel is actually a created agent, there exists no legitimate means to avoid idolatry. When Yahweh asks the rhetorical question, “Who is like me?” (Isaiah 44:7), consistency demands that those who hold the agency view say, ‘Your angel is exactly like you. He even says that he is God Almighty and receives worship and prayer.’ With the agency view, the prohibition in the Decalogue against idolatry is effective obliterated. from another person named Yahweh. There are several passages in which the angel of Yahweh and Yahweh communicate directly. For example, Yahweh spoke to the angel of Yahweh saying, “It is enough, now stay your hand” (2 Sam 24:16). In Zechariah’s prophecy the angel of Yahweh is depicted as saying, “O LORD of hosts, how long will you have no mercy on Jerusalem…” (Zec 1:12). Lopez and others who hold a similar agency theory seem to think these third person references demand an ontological distinction between the angel of Yahweh and Yahweh. Lopez relies heavily upon Zechariah 1:12 and states that the passage implies “that the angel of the Lord is not the Lord himself.” This statement is wrong on two counts. First, those who understand the angel of Yahweh in a traditional sense also assert a personal distinction between the angel and another person named Yahweh (i.e., the Father). Second, the text of Zechariah itself prohibits understanding the third person references as implying that the angel of Yahweh isn't himself also Yahweh. Within the above passage, the angel of Yahweh is called Yahweh, and in the sentence, he states, “The LORD rebuke you, O Satan” (v. 2). Clearly therefore, the personal distinction of the angel of Yahweh is not intended to communicate that the angel isn't himself Yahweh. The angel of Yahweh is both divine and personally distinct from Yahweh in the same manner that Jesus Christ is divine and personally distinct from his Father. This is made further evident in that Zechariah 3:1-5 typically displays the salvific work of Jesus’ people by the imputation of his righteousness. For Jesus is the one who cleanses sinners, removing their iniquity, granting them the spotless robes of his own righteousness. the divine angel of Yahweh and Yahweh in the Old Testament. Given the above, especially in light of the New Testament’s characterization of Christ, it is clear that there existed a personal relationship between two persons identified as Yahweh. See Burgos Jr., Michael R., Against Oneness Pentecostalism, (Winchester: Church Militant Pub., 2016). e.g., Norris, David, I Am: A Oneness Pentecostal Theology, (Hazelwood: WAP Academic, 2009), Kindle, loc. 514, and Buzzard, Anthony, Hunting, Charles F., The Doctrine of the Trinity: Christianity’s Self Inflicted Wound, (Lanham: International Scholar’s Press, 1998), 19ff. The phrase “proto-trinitarian” is here meant to indicate the Triune nature of God as communicated partially in the text of the Old Testament. Wenham has noted that the phrase occurs 58 times within the OT, and the “angel of God” 11 times. Wenham, Gordon J., WBC: Genesis 16-50, (Grand Rapids: Zondervan, 2000), 9. See Harris, R. L., Archer Jr., Gleason L., Waltke, Bruce K. Eds., Theological Wordbook of the Old Testament, (Chicago: Moody Press, 1980), 464. See also BDAG, 8-9. While BDAG notes a “transcendent power” as a definition, it is careful not to associate a particular ontology to the term. Notably, Yahweh himself is said to be a mal’āk (Ecc 5:6; Mal 3:1). Waltke, Bruce K., O’Connor, M., An Introduction to Biblical Hebrew Syntax, (Winona Lake: Eisenbrauns, 1990), 239 and 156 resp. Lopez, René A., 2010. “Identifying the ‘Angel of the Lord’ in the Book of Judges: A Model for Reconsidering the Referent in Other Old Testament Loci,” Bulletin for Biblical Research 20, 2. See Gen 31:13. A full discussion of the absolute deity of the angel of Yahweh occurs below, as does a consideration of the so-called agency apologetic employed by various non-trinitarians. e.g., Matt 1:20, 24; 2:13, 19; 28:2. 33, 81, 88, 1739, 1881, and 2344. It is noteworthy that P72 possesses the reading θεός Χριστός (God Christ). It would seem that this reading indirectly supports Ιησούς. Comfort, Philip W., New Testament Text and Translation Commentary, (Carol Stream: Tyndale House Pub., 2008), 802. Metzger, Bruce M., A Textual Commentary on the Greek New Testament, 2nd Ed., (New York: United Bible Socities, 1994), 724. The reading “Christ” in 1 Cor 10:9 is strongly attested and appears in the critical editions as well as the best English translations. There is no variant reading in v. 4. See Comfort, 506-507. This phrase is used by Yahweh exactly, as a means unto ensuring his hearers of the certainty of his words. E.g., Exodus 3:2; Ezekiel 37:14. Barker, The Great Angel, 32. Werblowsky, R. J. Zwi, Wigoder, Geoffrey Eds., Encyclopedia of Jewish Religion, Rev. Ed., (New York: Adama Books, 1996), 15. See also Gen 24:1-67 and 1 Sam 25:39-42. Kittel, Gerhard, Bromiley, Geoffrey, William, Friedrich, Gerhard Eds., Theological Dictionary of the New Testament, Vol. 1, (Grand Rapids: Eerdmans, 1984), 413. Acts 14:11-16. cf. Acts 10:25. See for example how Bernard interprets Zec chapter 3, particularly v. 2. See Bernard, David K., Pentecostal Theology Volume 1: The Oneness of God, (Hazelwood: Word Aflame Press, 2000), Kindle, loc. 1512.